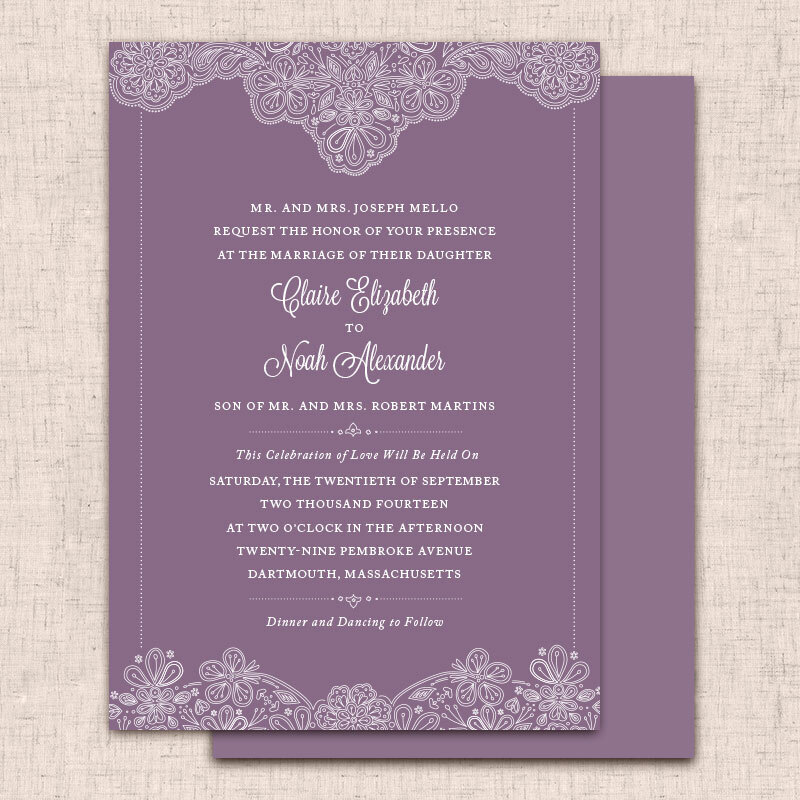 This invitation was designed for a couple who's wedding theme was "Purple and Lace." 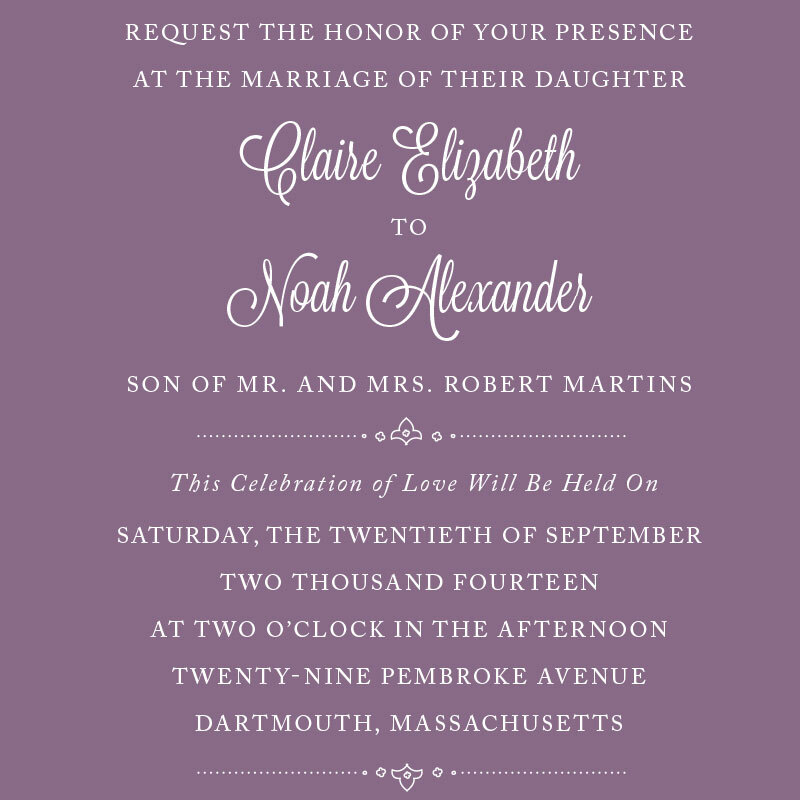 They wanted their invitations to reflect the theme of the ceremony and reception, with a formal, elegant, and classic feel. 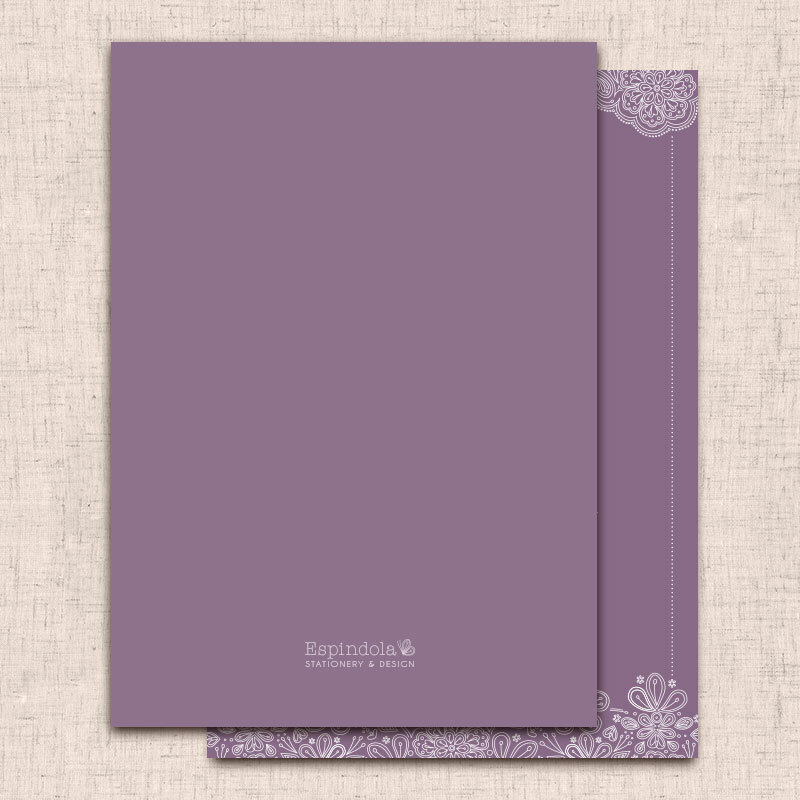 They chose a solid background to stand out from the traditional white of weddings.